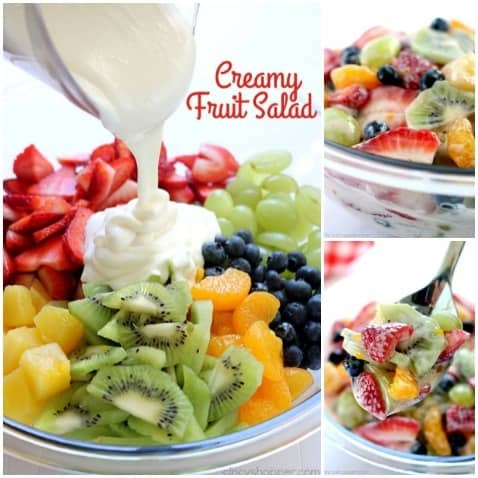 This Creamy Fruit Salad is loaded with tons of fresh fruits and a creamy vanilla yogurt dressing. It is so simple to throw together and perfect for a side dish or dessert. You will find it to be a hit at your next picnic or BBQ! 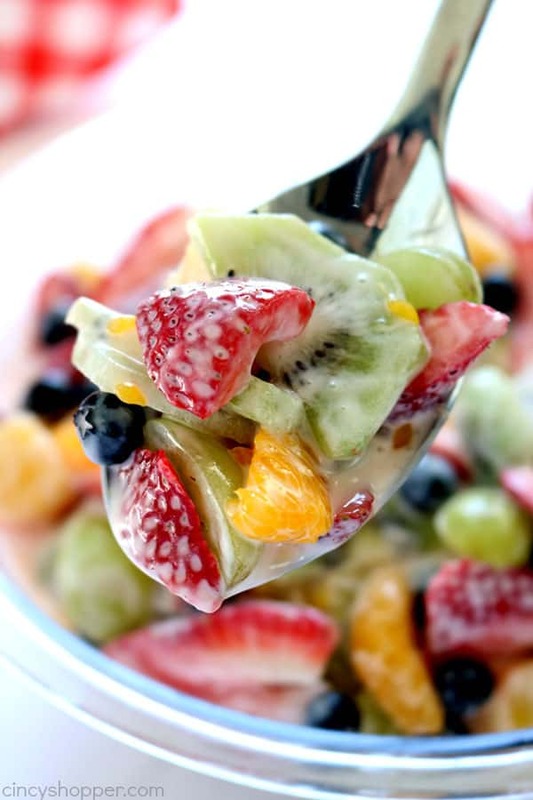 I am a HUGE fan of fresh fruits during the summer months. I seriously think I could live on just fruits and vegetables all summer long. 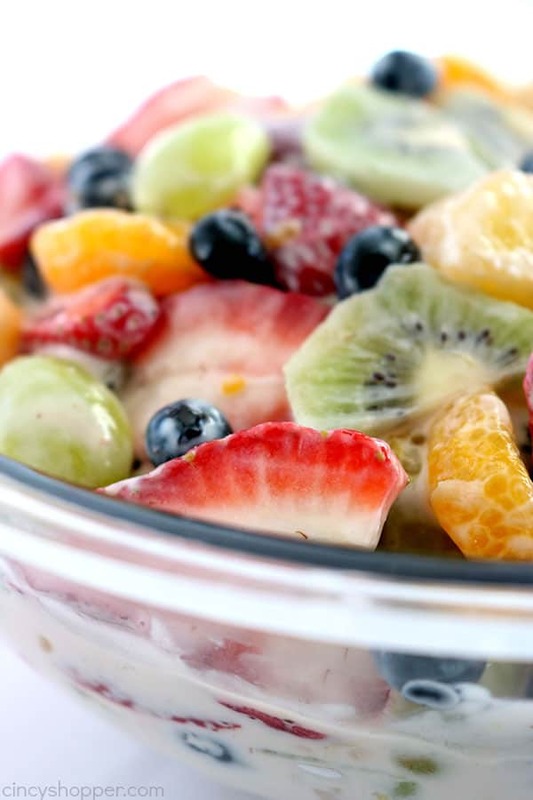 Fruit salads are always so light and refreshing. We have been grilling quite a bit already this spring and I like to have quick and easy cold side dishes like salads to go along with our grilled meat. Having recipes that are easy and take very little time are my favorite. I like my Radish and Cucumber Salad but fruit salad is always my favorite. For Memorial Day and also for 4th of July, I will whip up our Berry Cheesecake Salad since it has the red, white, and blue. 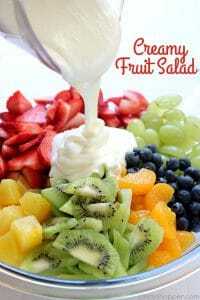 For our everyday type BBQ’s, I like to make this Creamy Fruit Salad. I just whip up a quick vanilla yogurt based dressing and it is perfect. I will use what fruits I have on hand but I love this combination that I am sharing with you today. I think it is a perfect blend and variation of fruits. 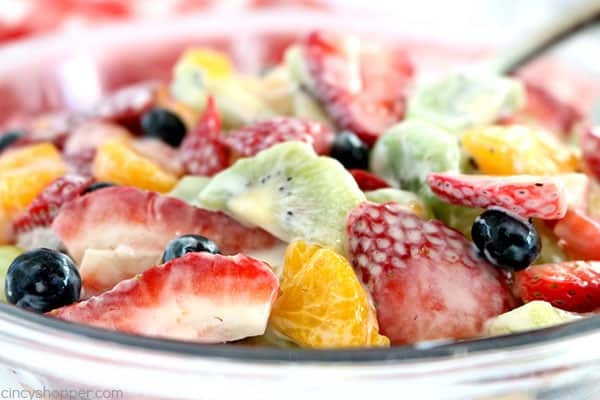 The strawberries, kiwi, pineapple, oranges, grapes, and blueberries make it a perfect salad. Great for a side dish or even a dessert. 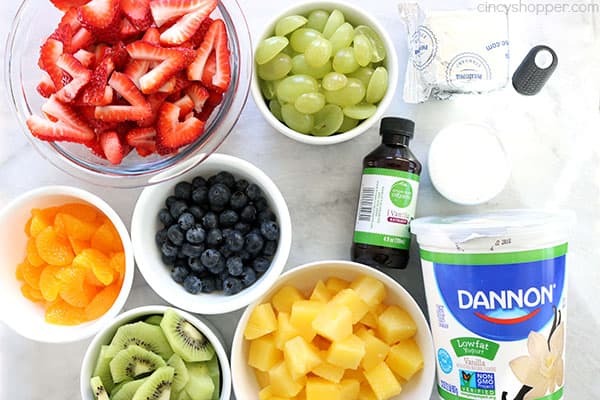 When I make this salad, I like to prep all my fruits ahead of time. Then about an hour or so before serving, I whip up the creamy vanilla yogurt dressing and pour it on. I refrigerate for just a few minutes. I find the salad to be best when served within the first couple of hours. 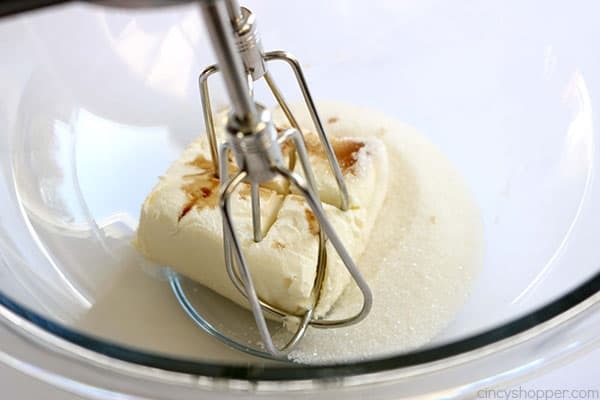 Beat together cream cheese, sugar, and vanilla until blended. 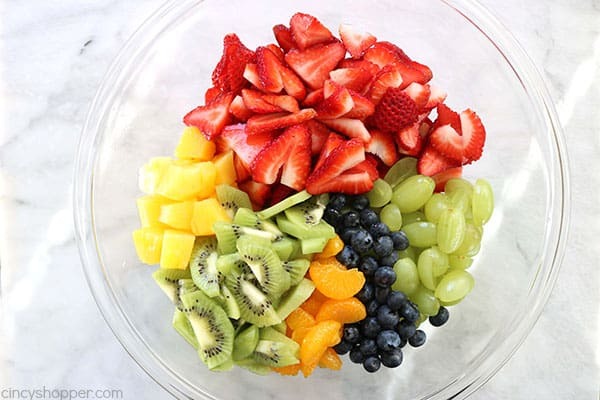 Place all fruit in a large bowl, add dressing and toss to coat. 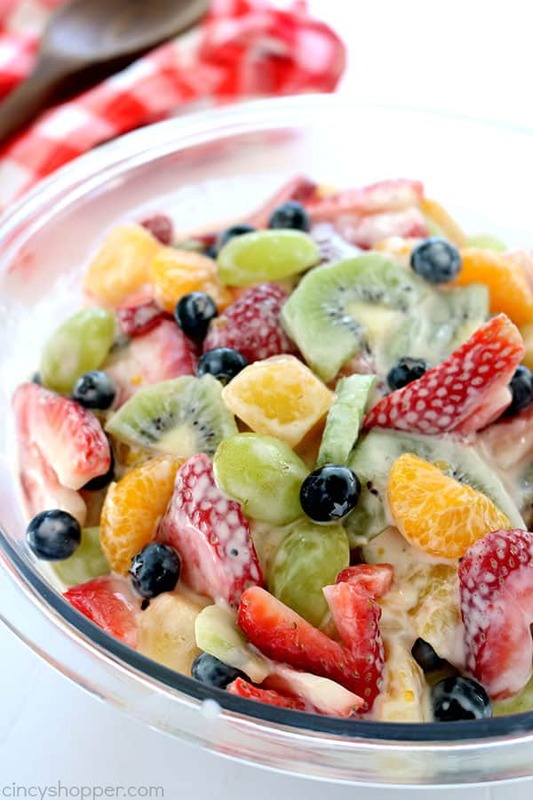 Do you have a favorite fruit salad that you make during the summer months? 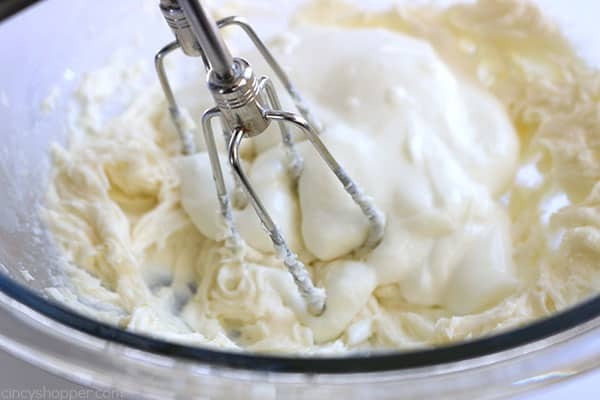 Beat together cream cheese, sugar and vanilla until blended. Hi Jen, Your salad looks so scrumptious! It’s one of my Feature picks at Merry Monday this week. Sharing! We love your recipes! Could u use frozen fruit?